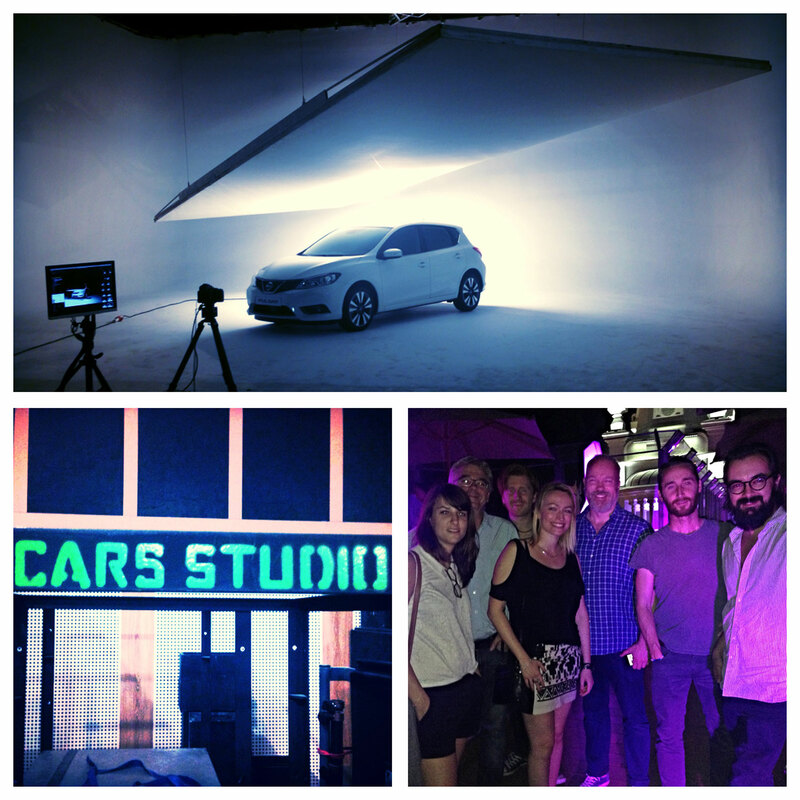 The crew and car shooting in Madrid. 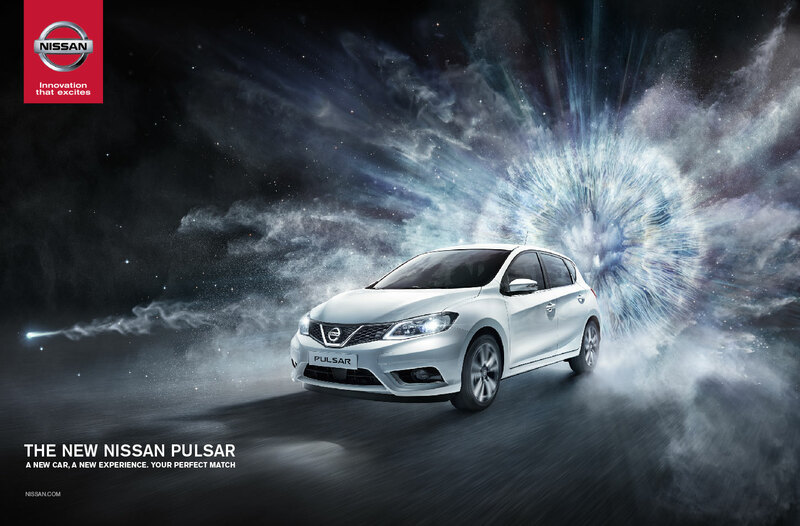 For the launch of the new Nissan Pulsar campaign we came up with a key visual idea that symbolizes the birth of the Pulsar. In a heartbeat, a boom, a flash, a spark. A single magic moment. What if we were able to capture that exact “moment of connection” in a physical form? 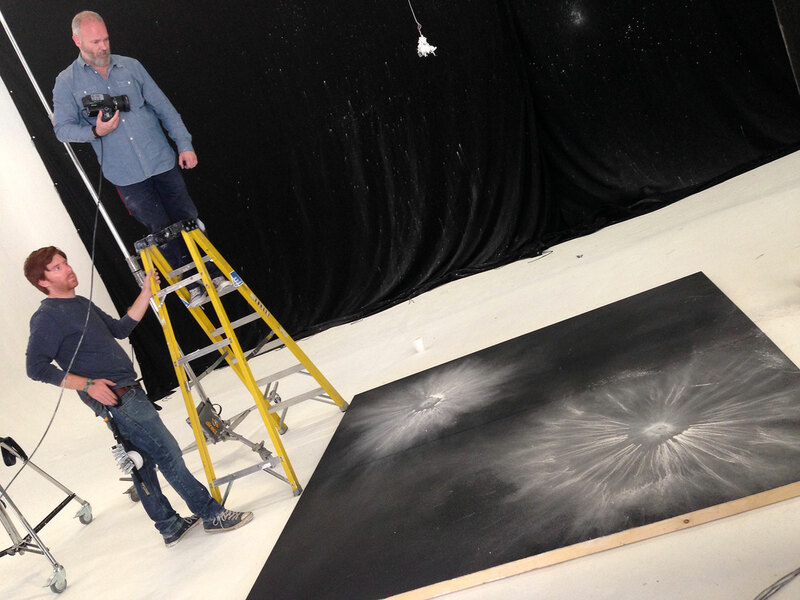 A ball of white powder explodes. It takes a strange and unique shape. It looks powerful, beautiful, and full of energy, almost like stardust. At the same time we would project an electromagnetic iris on the explosion to convey humanity, color and reflections on the car and turn explosion into a star burst. 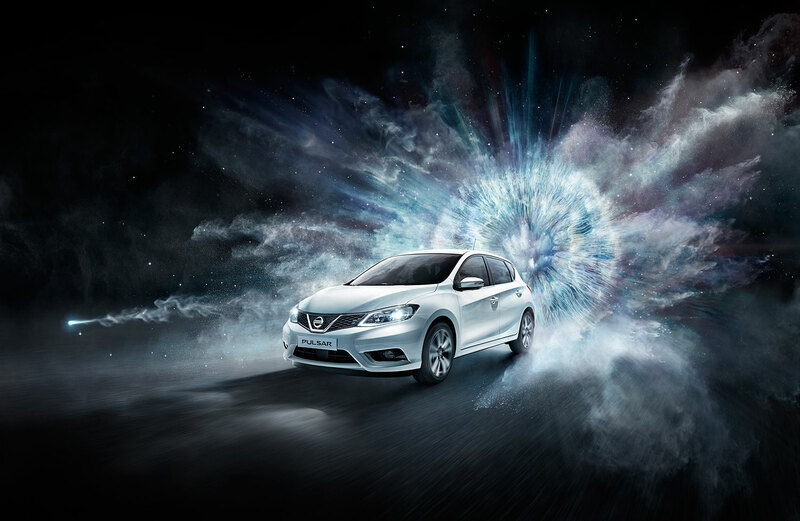 In very much the same manner that Johnny Green has approached the film of the campaign, using abstract images of lights and human forms, we intended to project (light) in a human form onto an explosion to achieve the “moment of birth” of the car. I have chosen to work with the great photographer Rick Guest on this complex one, as he is a very experienced car photographer well known to capture the right moment. His skills and know-how combined with the great post-production team of RecomFarmhouse in London would be the perfect crew to create this visual. With Rick we only had one day to shoot the car in Madrid, but an angle-finding session in CGI beforehand and an approval by the client saved us precious time. We also shot lots of cloud elements with him in a different photographic studio in London which was very loud, dusty and fun. 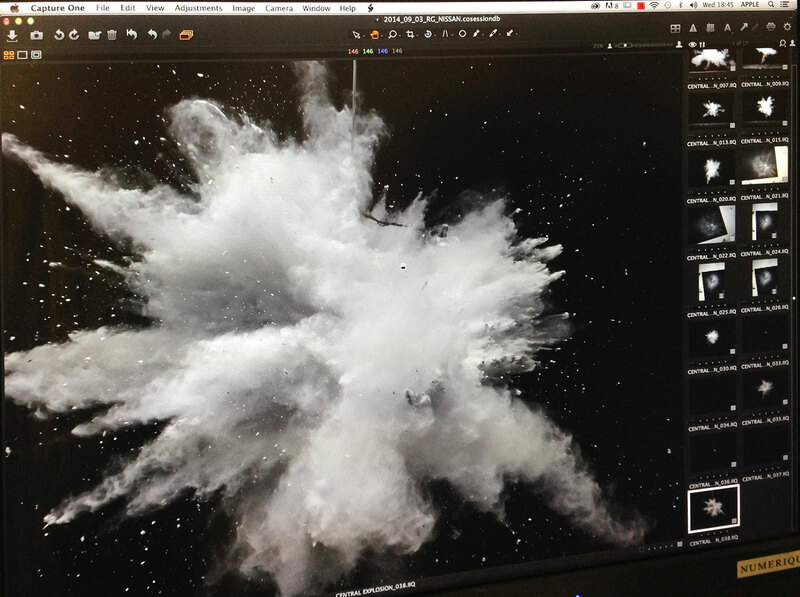 Once we had all the elements to work with, the retouchers started to assemble the background for the car, piecing together multiple images to create the explosion as well as the iris. 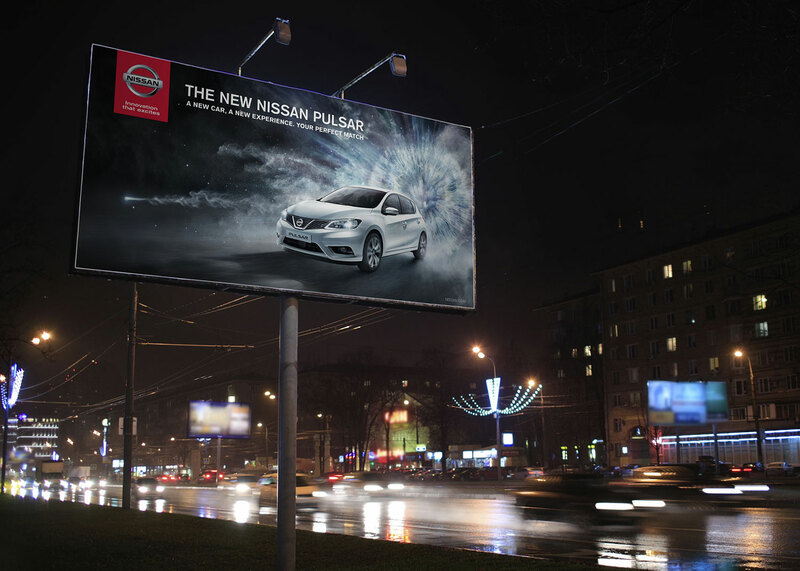 This visual was used for our press campaign and OOH for the launch of the car during the Paris Motorshow 2014. 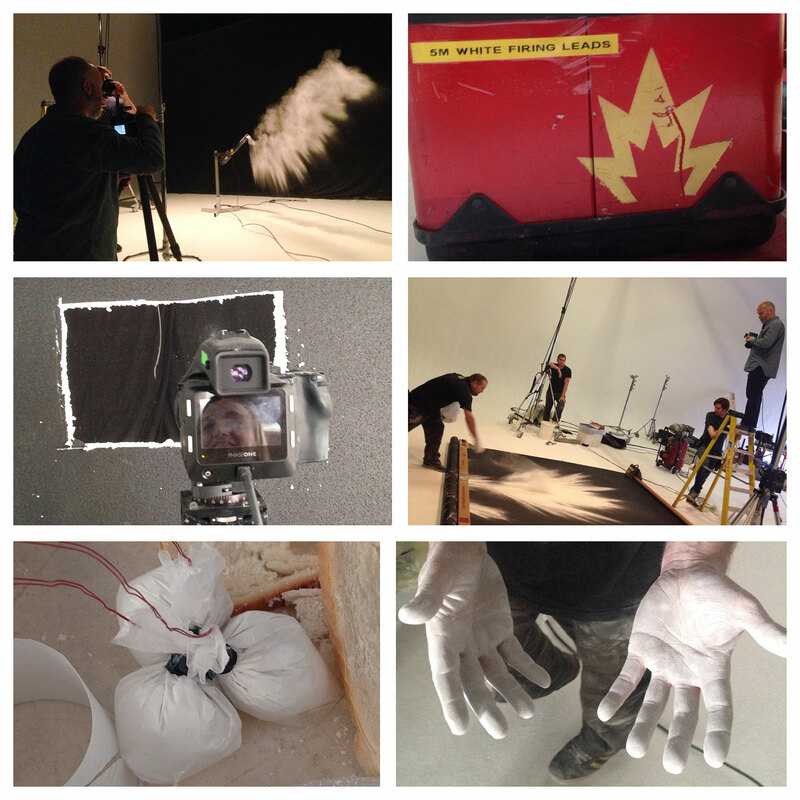 Don’t forget to check out RecomFarmhouse’s making-of.